january 4th marked three years since we adopted leko. 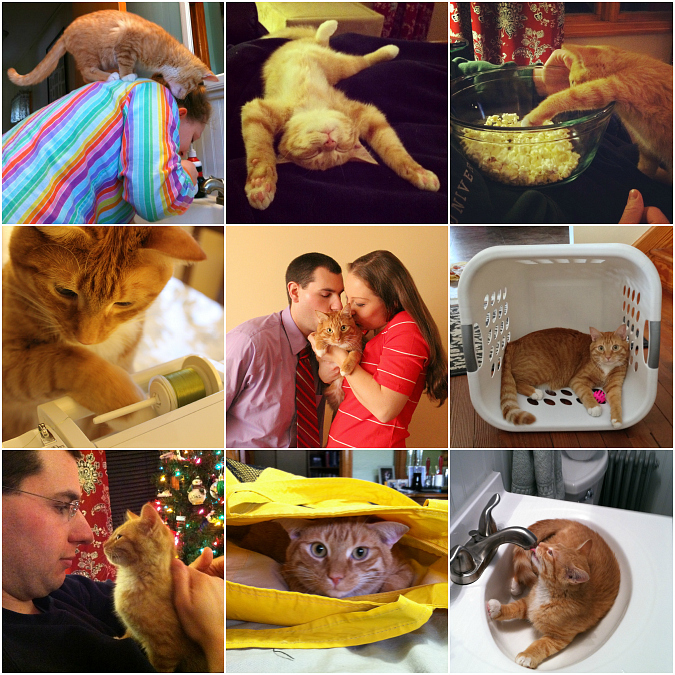 it's hard to believe that it has already been three years since we brought home our little furry baby. we absolutely love having leko in our lives, and we can't imagine our lives without him. he is such a lover, and we sure are proud kitty parents! if you are in the market for a pet, we highly recommend adopting an animal from a shelter. there are so many amazing animals out there in need of a good home. adopting leko was one of the best decisions we have ever made. he certainly has changed our lives for the better! He definitely is in charge of the house. He has the two of you wrapped around his tail. But he is so cute and cuddly that you can not resist. He even has Grandma and Grandpa doing what he wants. Kitties do bring a certain spark into the lives of humans. Our triplets certainly have added spice to our lives. Photos of Leko always make me smile!! !